Byard Art Gallery, Cambridge, UK, is holding a one-day charity exhibition in April in collaboration with the Arthur Rank Hospice, an organisation that provides specialist palliative care and support to adult patients and their families. The event will take place on 21st April 2016 and they will be exhibiting some of their most well-established artists. 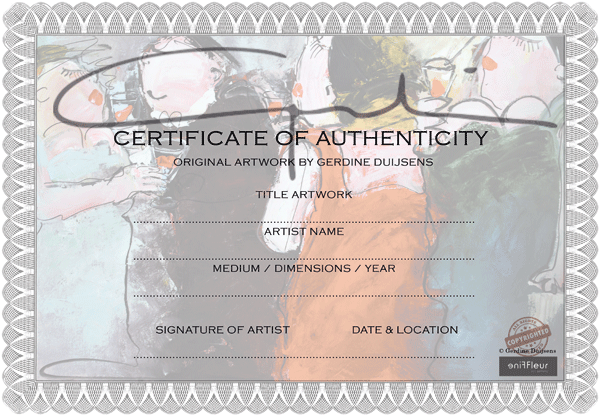 Gerdine Duijsens will sponsor this fundraiser with one of her paintings. All care is provided free of charge, and is offered to people living throughout much of Cambridgeshire. Arthur Rank Hospice Charity works directly with the Clinical Commission Group (CCG) to deliver the care provided at the county’s only adult hospice. The aim is to enable patients and those close to them to live as fully as possible, and make the most of the time that remains.